Scrolling through my Facebook feed the other day, I came upon a picture that was recommended to me by the social network's "On This Day" feature. The image in question was undeniable nostalgic, given that it was originally taken by me 6 long years ago. That span of time can be deemed as long, especially how quickly technology evolves and innovates in just a short period of the time. The photo in question was none other than the Asus Transformer Prime that I was reviewing at the time back in January 2012. I vividly remember how it was one of the first, true premium Android tablets on the scene to test Apple's might with its iPad, which few were able to do in such a convincing fashion. During the early period of the 2010s, the tablet market was just beginning to see major traction from consumers who were eager to make tablets as their main source for mobile computing. What was there not to like about them? From their portability over standard laptops, to their touch-friendly interfaces, and lower price points, tablets were without a doubt a hot commodity that came in a the right moment into our technological collective. In fact, we soon began to see a renaissance as many companies ventured into the tablet world – to the point of saturation even! 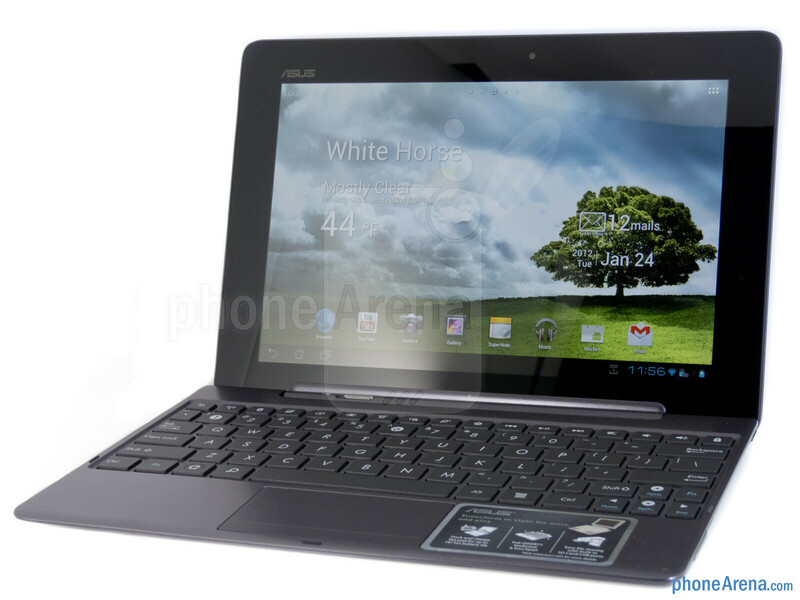 The Asus Transformer Prime was one of the first truly premium Android tablets on the scene. Going back to that Asus Transformer Prime, it was the first tablet that I thought that could potentially replace laptops as the main form of computing on-the-go. However, it's rather ironic to have thought of that back then, seeing that reality had other plans for these Android tablets. Looking at the current situation with Android tablets, it's almost unfathomable to even come up with a few models that would be classified as laptop replacements – they're just no longer regarded with high esteem, as convertibles have seemingly become more prized. Android tablets are shadows of their former selves, which is a shame when history showed us that they were highly coveted at one point. I, myself, am somewhat disappointed by the current situation with Android tablets – they're considered afterthoughts to Apple's iPad, and worst yet, less functional than Chromebooks. It's a strange predicament for sure, but the blame for the decline of Android tablets can be pin-pointed to the platform's maker; Google. The Samsung Galaxy Tab kicked things off for Android tablets back in 2010. When I think back about some of my favorite Android tablets from the early 2010s, devices like the original Samsung Galaxy Tab, Dell Streak, Motorola XOOM, and HTC Flyer, all come to mind as being some of the early pioneers in the Android tablet space. The 7-inch Samsung Galaxy Tab, in particular, was deemed by many as the first Android tablet to rise from the ashes to respond to Apple's iPad. While it didn't necessarily earn unanimous adulation from consumers, it was nonetheless helped to spur this new renaissance that was only beginning to pick up momentum. After Samsung's foray into the tablet market, we soon saw offerings from every major manufacturer under the sun. From venerable companies like Dell, Sony, LG, and Motorola, to some of the more obscure players, like ViewSonic and Toshiba to name a couple, nearly everyone was off to the races with their own Android tablets. We enjoyed and appreciated all of the competition, even though it was beginning to become saturated, seeing that with each new release, it seemed as though the threshold was being pushed out farther. For me, it was the promise of ditching these 13-inch sized ultrabooks, which when compared to tablets, were still more cumbersome to manipulate due to their larger size. Android tablets definitely offered the convenience of being far more portable, easier to travel around with – while still proving to be satisfying when it comes to media consumptions; like watching videos. Based on the tablets I checked out and reviewed throughout 2010, 2011, and even 2012, Android tablets had this shining beam of light that kept me intrigued. However, it took a radically new shift in strategy to really bring Android tablets to the masses. Most of the early Android tablets released between 2010 and 2012 were priced to compete against the iPad, so the typical price for many of them were somewhere in the range of $500. That structure wasn't unheard of, more so when there was still a buffer between them and most laptops on the market at the time. The trend eventually led us to new chapter for Android tablets, cheaper models that might've had the price advantage, but didn't relinquish the functionality they offered. 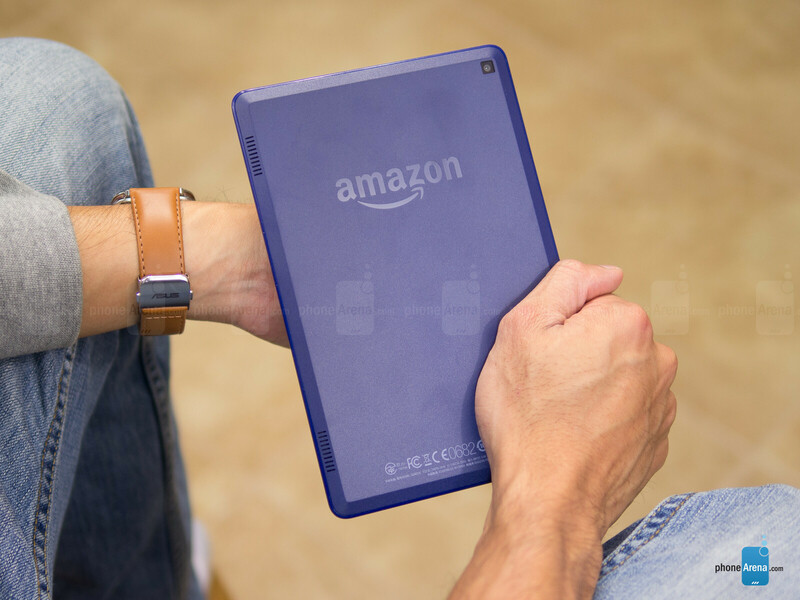 By the holiday season of 2011, tablets like the Amazon Kindle Fire and Barnes & Noble Nook, were beginning to usher in the age of the inexpensive Android tablets. Boasting prices below $300, these were tablets that helped to widen the reach of Android tablets – making them even more accessible to a broader range of consumers! The cheap Android tablet revolution achieved its peak, with the pinnacle arrival of the Google Nexus 7 in 2012, which combined high-end specs and a killer performance at an irresistible price of $200! Driving down the cost definitely helped Android tablets to spread more rapidly. The problem here, though, was the fatigue brought on by the release of many of these Android tablets. In fact, it was increasingly becoming more difficult for the mobile manufacturers to keep their top-tiered models in contention, especially when they had to go against these inexpensively priced tablets. The unintended result from having so many of these cheap tablets, was that they undermined the value of their $500 priced brethren – so it made anyone rethink about their decision to buy. Why pay more for something larger in size, when you can pay less without any major loss in functionality? Amazon's line of Kindle tablets are known for their low cost. Establishing the standard in the landscape, Apple's iPad has continued to be the biggest force in the tablet world – even though sales have dipped quite a bit over the course of the last few years. Part of the decline we're seeing with Android tablets can be attributed to the success of the iPad. True, it definitely ushered in this era we're in now, but even though the innovations in the segment haven't been all that dramatic of late, Apple is one of the few manufacturers that has kept a solid track record with its efforts. Even as Android tablets managed to keep pace with the iPad early on, many of the manufacturers that were eager to make a splash onto the scene saw themselves soon pushed out of the market. There's a reason why we haven't seen players like HTC and Motorola in the tablet business anymore. Apple, for its part, just kept on evolving with its offerings, even responding to threats from the competition by doing things like branching out to smaller form-factors, lower priced tablets, and meaningful features that make its interface such a pleasure to use. 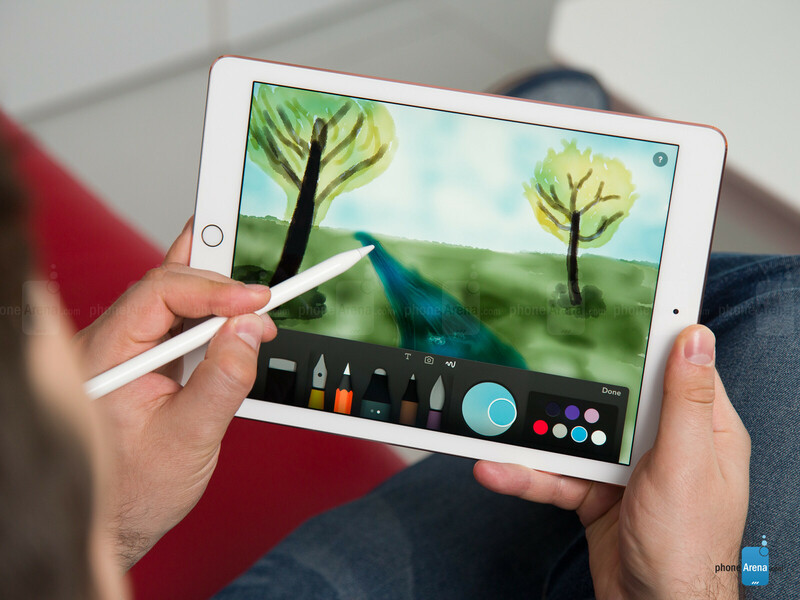 The Apple iPad continues to be the most dominant, best-selling tablet around. Indeed, the hardware just kept on improving with each iteration, but an integral part of its success is how iOS evolved as well alongside each new release. While it may not be the definitive mobile computing platform, as it still indirectly competes against other desktop platforms, for a tablet experience though, it's undeniably unchallenged. From its reliance of various gesture implementation, to emulating that desktop experience with true side-by-side apps multi-tasking, iOS has matured considerably over what Google has done with Android. All of this just seemingly reconfirms the obvious, which is that Apple's iPad will continue to thrive. Personally, I haven't used an iPad as a daily driver since the iPad 4 days, but if there's one tablet I'd be willing to shell out my hard earned money for, it would have to be an iPad of some kind – it's a no-brainer decision for me! One of the more frustrating things about Android tablets is just the pale apps support we get from third parties. For a long time, apps developed for the iPad were far superior to their Android tablet counterparts. I even remember for the longest time that the Facebook app for Android tablets was just a sad port of the smartphone version, filled with tons of dead space because of the lack of them being optimized. It was bad, like really bad, which makes me appreciate its iOS counterparts. Yes, the gap has lessened over the years, but it's still apparent that Android suffers from a complex with tablet-optimized apps from third parties. Yes, the gap has lessened over the years, but it's still apparent that Android suffers from a complex with tablet-optimized apps from third parties. Take for example Instagram, which I downloaded, installed, and used last when checking out the Samsung Galaxy Tab S3 last year. You'd think by would've added support for landscape viewing, but when I was checking it out, I was appalled that it wasn't the case. Sure, it might be insignificant for some, but when you're after a cohesive experience, one wherein you're not being annoyed, you would think something as trivial as this would've been addressed a long time ago – but that wasn't the case! And that's one of the problems with having to use an Android tablet. For as long as the platform has been in development, it's still lacking support from many third parties. The worst offense is when you go to the Google Play Store and denied from downloading an app because it's not compatible with that version of Android. In order to convince people that tablets are superior mobile computing devices, they need versatile apps that are optimized for touch, as well as having diverse support from third parties. Sadly, this is still one obstacle that has yet to be overcome by the platform – and it's starting to become an annoyance at this point. 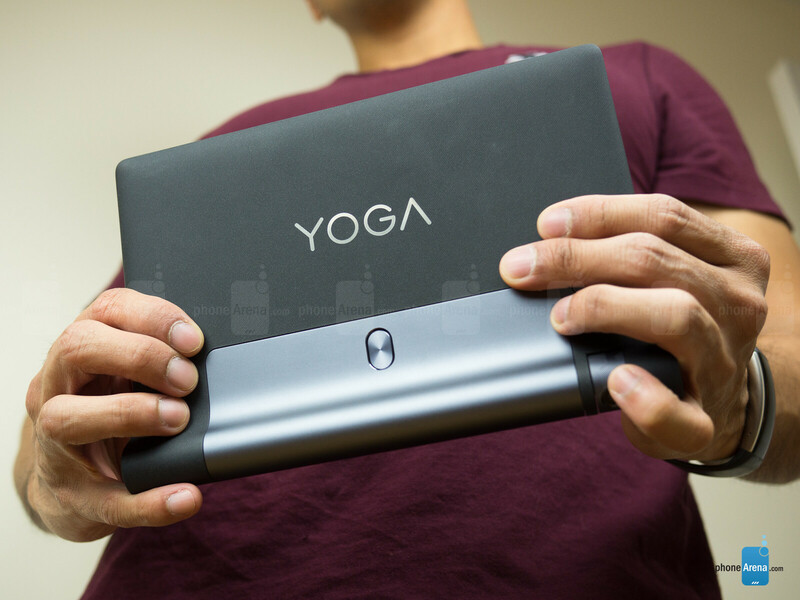 From left to right, the Asus Eee Pad Slider, Lenovo Yoga Tab 3, and the Sony Tablet P.
Microsoft's Surface tablets have proven their versatility over Android tablets. Microsoft's entrance to the tablet world definitely did stir up some concern for Android tablets. With the arrival of the Microsoft Surface RT in 2012, and subsequently the Surface Pro in 2013, Microsoft fashioned a brand-new vessel for its popular desktop OS. Specifically, it was he Microsoft Surface Pro that showed to us how much more versatile it was in being a mobile computing device, as it bridged laptops and tablets into its convertible style 2-in-1 form-factor. Soon afterwards, we began to see an uptake in Windows-based convertible tablets, which offered more of that productive experience over Android tablets because they indeed were able to run full-blown Windows software – not just those tablet optimized apps. Undermining its Android tablet counterparts, we eventually saw even more sub-$500 Windows convertibles that were aggressively priced to compete against the majority of Android tablets on the scene at the time. Having so much competition around, it negated the visibility of Android tablets. Thus, this radical change spurred the acceleration of the decline of Android tablets. Even now, there's no denying that manufacturers are producing, announcing, and releasing far more Windows 10 based convertible tablets than Android ones. There was a time in the early 2010s when Android tablet releases were in great abundance, but that has long expired, as competition from the iPad and these Windows 10 convertibles have made it nearly impossible to popularize Android tablets. Making matters worse for Android tablets, it wasn't long after we saw the first batch of Android tablets hitting the market that Google, of all companies, decided to develop a competing mobile computing platform with its Chrome OS. Initially, these Chromebooks were limited by their reliance of an established data connection to the cloud, but eventually the platform evolved to throw in offline support. More of that separation was also evident in how these Chromebooks were designed to look and function more like laptops than tablets. However, things began to change that made it seem as though Chrome OS was encroaching on territory occupied by Android tablets. It shows that Google doesn't have as much confidence in its Android tablet platform. So far, though, there's a definitive distinction that separates Android tablets from Chromebooks – the obvious being their form-factors. We have yet to see a tablet-looking Chromebook, even though many of them feature folding designs that would emulate the look. 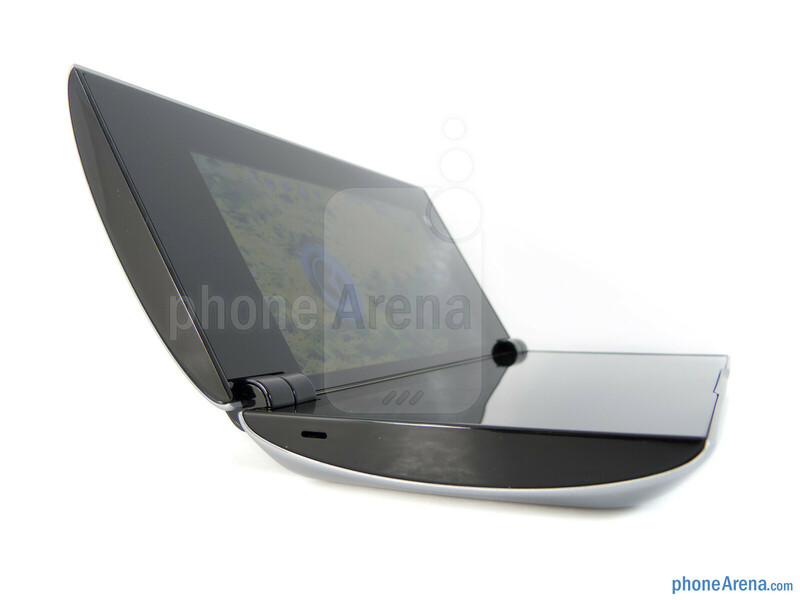 However, the biggest offender was the recent introduction of Android apps support with Chrome OS. This one specific feature of course extends Chrome OS' functionality, as it can now leverage the apps in the Google Play Store. At the same time, too, this is an incredulous offense for Android tablets. It shows that Google doesn't have as much confidence in its Android tablet platform. Of course, it's one thing to compete against rival platforms, but when Chromebooks started to offer Android apps support out of the box, it'll make anyone question whether Google is committed to its Android tablet platform in the first place. In the last couple of years or so, we haven't really seen a whole lot of new changes to the Android tablet recipe and experience – and it's sad when a 2015 released Android tablet still functions in the same capacity as something released in 2017. That's yet another indication of the decline of Android tablets. Apple's latest iPad series, the iPad Pro, might surely be the closest thing we get to bridging the experiences with tablets and laptops, but there's still a long way before it can be a convincing replacement for the masses that heavily rely on traditional computers. Part of the reason why the iPad continues to be a favorite amongst consumers is that it features a robust and always evolving features set. Apps and accessory support is impeccable too, coming from a mom a myriad of top-tiered names and startups. Conceivably, it's plausible to make an iPad as my daily driver – much more than the reality of making an Android tablet as my daily driver. The Samsung Galaxy Tab S3 was announced and released in 2017, making one of the few major releases when it comes to Android tablets. 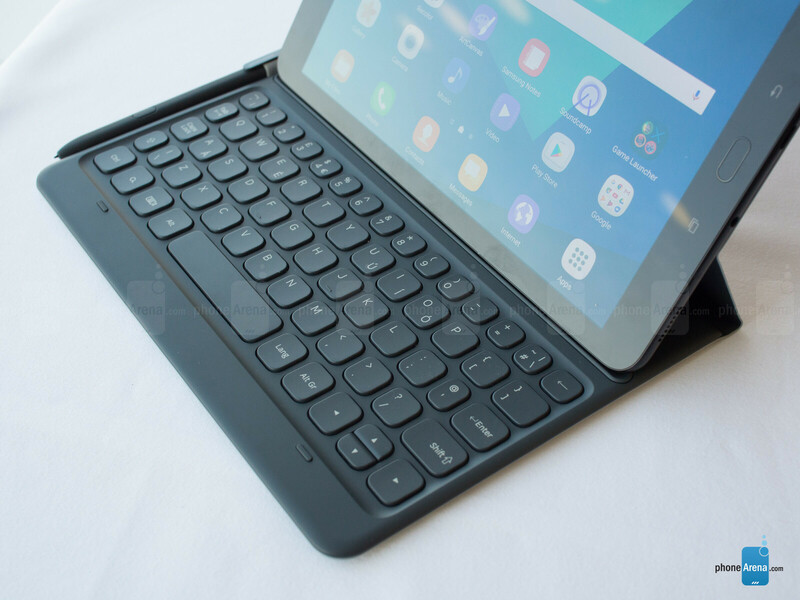 I tried it last year with the Samsung Galaxy Tab S3, which offers superior functionality over most other Android tablets because of its rich specs, the addition of the S Pen for productivity, and a useful folio styled keyboard cover case. Physically, it had everything I wanted in a versatile mobile computing device! However, it wasn't until I tried using it that I soon realized that there are still way too many compromises with it. Out of everything, the biggest offender was just how I quickly became annoyed by the fact how some apps would automatically revert to a portrait layout – even when the orientation was locked into landscape. Last year, we only saw one major Android tablet announced and released – the Samsung Galaxy Tab S3. Besides that, there were no other Android tablets that received the same level of attention in the space. Now that 2018 is underway, we're not all that confident that Android tablets will be making a comeback anytime soon. The majority of the ones released have been relatively low-key, budget conscious models. Everything I mentioned and went over in this piece is tangible proof that Android tablets are in decline. It's a harsh reality, but reality nevertheless. Wouldn't the increase of large screen phones in a smaller form be one of the main contributors to the decline of tablets, all makes and OS types? I don't know people who use a "tablet" that doesn't have a keyboard attached. 18:9 screen are smaller, not bigger. I doubt G6 and S8 have more screen area than G4 and S7 Edge. Note 8 is only 1mm shorter than XA2 Ultra, but screen area is smaller too. 6" 16:9 is similar to 6.44" 18:9 according to GSMARENA. Lenovo still make a decent Android gaming tablet - the Tab 4 8 (8704) with 1080p screen, 4gb ram and a SD625 cpu with 64gb inbuilt storage - but its only available in some markets which makes things difficult. Its a shame that companies like Nvidia have pulled the pin on their Shield range. I don’t think so. If you do the math an iPad mini to a Plus iPhone is still bigger than that Plus iPhone to a classical 3,5” one. Not even mentioning that a 4:3 aspect ratio is WAY nicer to use than those 20 to 7 monstrosities coming out in phone space. Expect for movie watching. But that's what tablets were for. Most people used them for media like movies and games. Now with larger phones you can see everything just as well with better control in a smaller more portable device. So now, as you can see with Apple, they are desperately trying to give the tablet a purpose like productivity. But thanks to laptops become lighter and more power efficient, you no longer need tablets at all. Apple is the last tablet manufacturer with any decent sales but even those are declining. MS might win out with their 2 in 1 situation though. I'd would have to agree. Might even be safer to say that the ever-expanding mobile peripheral/accessory market has been an even bigger contributor. Case in point, we have mirror casting and sharing for TVs, which negates the demand for HDMI cords and high-end laptops for convenient; best quality output, people are buying more apps than ever before, and i'm not even gonna go into the phone case business (sheesh!). People had complained about the cost of the iPhone X, yet all the add-ons that the average flagship cellphone user buys has not only put many people in that $1K phone league since the days of the S4, but has also given them reason to rehearse to themselves the rationale that "I have a phone that can do everything..." to justify this: convincing themselves that they're actually saving money via the "putting all of (their) eggs in one basket" approach to electronics. I use a tab s3 daily, spending longer in that than my 5.9 inch phone. Also a 17 inch windows laptop. I do NOT have a keyboard attached, though I do have a rarely used (once a week at most) Bluetooth one. The tab s3 is far far better for most things than the phone because of its sensible screen ratio. My phone is 16:9 and usable, but I cannot bear the idea of having to replace it with a 2:1 or thinner one. You're right. I had a tablet and I bought an external Bluetooth keyboard because it's still more comfortable to type in external keyboard than on screen keyboard. One thing that is annoying with Microsoft and their Surface ecosystem is the usual lack of commitment. 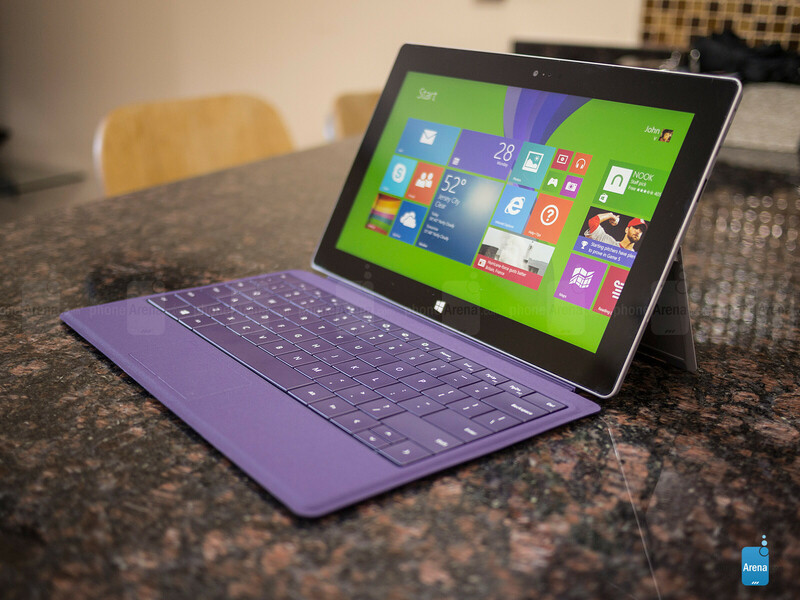 They haven't released a single successor to the Surface 3, even though that tablet is ancient by now, four years old. They could easily build a slimmer and lighter version today equipped with a Celeron/Pentium class processor. They also need to release a 7-8" version of that. ...and they obviously need to speed up development and refinements of Windows 10. I was hoping their current 6 month update schedule would mean a lot of new features and abilities for tablets but development feels like it's grinding to a halt like Windows Phone after they released the WP8 disaster. 6 months for one or two minor changes ot the Edge browser and a couple minor tweaks to the Windows UX is just not good enough for the biggest software company in the world. Yet much like the aspect of the general public's knack for associating hunger with eating fast food and not simply using that same money to just go to a supermarket and cook a wholesome meal, they've also normalized a very morbid concept of productivity that justifies the obvious inconvenience of relying on mobile tech/OS for productivity in contrast to the more (proven) reliable desktop setup...This was the selling point of the recent iPad Pro 10.5 commercials in that the kid, sadly, did not know what a more powerful, more productive, computer was when asked by the older neighbor if that was what she was using. Outside of Galaxy Tabs, Android tablets just aren't that great. The OEM's just don't seem to care about them, the way Apple cares about the iPad. Apple even separated the iPad from the iPhone, by refusing to give the iPhone true multitasking, pencil support, multitasking dock and picture in picture. They clearly want to push the iPad in its own direction, while keeping it in the family. Android OEM's need to do the same thing (priority wise). Two thing's 1. Tables last years unlike phones so you don't need to buy for another 3 or 4 years. 2. Lack of choice from manufacturers. I want a large screen android tablet, I have the Samsung tab S 10.5, but no replacement has been released, Samsung PLEASE release a 10.5 or 11" screen. The tab 3 is almost there but the screen is still to small for a tablet. Tablets only last more because the users keeps them for longer. It’s not like phones last any less than tablets. Depends on the user mostly. That's the kind of comment I was looking for. Android tablets were interesting because they were built for media consumption, and shifting to 4:3 killed that idea imo. With the terrible app support for Android tablets, shifting to 4:3 didn't help, as those who used to buy them strictly for media consumption weren't interested in the new aspect ratio, and the ones looking for 4:3 were already using an iPad. I have had my Tab S 10.5 for almost 4 years now, and even though I have an iPad Pro 10.5, I wouldn't sell the Tab S unless Samsung releases a true successor for it. Hi Maherk, may I ask if Samsung supports their tablet for software update. I have the Tab S3 but I haven't received any security patches from the time I bought it until now. As of late, they have been offering two major OS updates on their flagship tablets, but they are always too late to do so. As for security patches, they're awful at that when it comes to tablets. My daughter's Tab S3 is still on August 2017's security patch, and my son's Tab S2 is on April 2017's security patch. My Tab S 10.5 was running on lollipop up until mid 2017, which was awful even on Nexus, but it was a miracle when Samsung listened and upgraded the software to Marshmallow. Eventually I got sick of having a great hardware running on marshmallow, so I downloaded and installed Lineage 14.1 on it, and I'm super pleased with the results. It is super fast, buttery smooth, and battery life is almost doubled. And you get monthly security patches OTA as well. If you know what you're doing and have flashed custom roms before, and you want a tab for media consumption, I advise you to get the Tab S 10.5. Thanks for your effort and time to reply. Now I know they don't update the security patches regularly for tablets. I will not check updates manually every now in then even though I set it on automatic update. I thought there's something wrong with the unit that I have because the galaxy S6 was already updated to January 2018 security patch but my tablet is still at August 2017. My pleasure :) Yeah, I wouldn't keep myself busy waiting for security patche updates, Samsung are awful at delivering them to their tablets :/ Security patches are only updated whenever your tablet gets an OTA update that is meant to bring new features or upgrade your OS. I have never received an update on any of my Samsung tablets that was solely sent to update the security patch. I have iPad Pro and Samsung Galaxy Note 10.1 - they are pretty much the same device. Do I use them anymore? No, rarely, one I gave to my kids and the other one to my mom. For Youtube or mail reading they are fine, but I rather use my 12" laptop. I don't plant to buy Android tablet and certainly not another Apple tablet. iOS is just way too buggy and slow and Android ... there are no new and interesting Android tablets. I have an iPad Pro 10.5, and on iOS 10 I did face a bit of stutter, but nothing to really bothered me. And that stuttering was gone for good with iOS 11. But as it typical of iOS updates, it fixes something and breaks another. The experience was super smooth, but there was at least one app crash every day, and I only use my iPad for 2 hrs max per day. But that still wasn't something that annoyed me with my iPad, what is really annoying is the fact that it keeps dropping wifi since iOS 11 upgrade, and I am not willing to replace my 3 routers and repeaters to fix this when they're linking perfectly with every other gadget I have in my house. I got a Huawei MediaPad M3 8.4" with 4 GB RAM ast month for $219 from Amazon. I'm loving it! It replaced a Nexus 9 that just became too laggy with 2 GB RAM, and I had to constantly reboot it to recover from locked up apps. The Huawei has been a pleasure to use by comparison. Finally someone notices! Thank you for posting such an awesome article. I've been looking for a snapdragon 8xx series stock Android tablet in both 10 and 8 inch form factors and it's just unbelievable how non existed such devices are. I can't tolerate Samsung software so picking up any of their tablets is such not a possibility for me. Google needs to come out swinging with affordable flagship tablets in both sizes. I can understand why this is happening when Google is working on Fuscia. In a few years or less the OS will power phones, tablets, and Chromebooks. 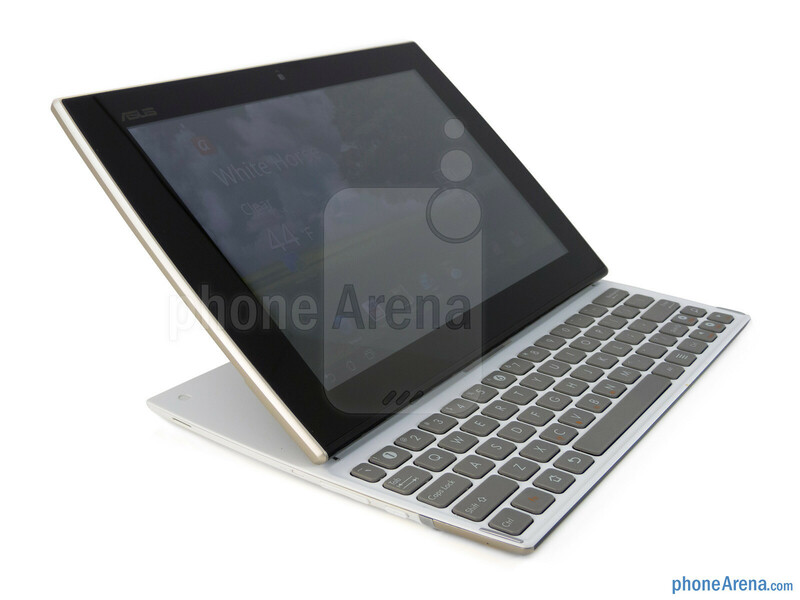 Google's thinking may be, why concern themselves with tablets which aren't fully functional using Android as the OS? Focus on improving and building out Fuscia then reintroduce better products after. Especially when demand right now is so low for tablets.